As the title suggests, Joe has a partner in his schemes, Scottish-American Brad McCoy (Brad Harris). I couldn’t really tell what his place in the schemes were other than to look ripped and argue with Joe when they went sour, but logic is not something that holds sway over This Time I’ll Make You Rich. Anyway, these guys get involved with a rich Greek gangster, who asks them to transport some sensitive packages across town for him. For this he offers $3000 a job, per person. The boys see their problems melting away with such money at hand, and their dream of opening up a brewery is one step closer. This Time I’ll Make You Rich is basically just a series of schemes gone wrong, so you really have to like the film’s brand of hijinks or else it will be a real slog. 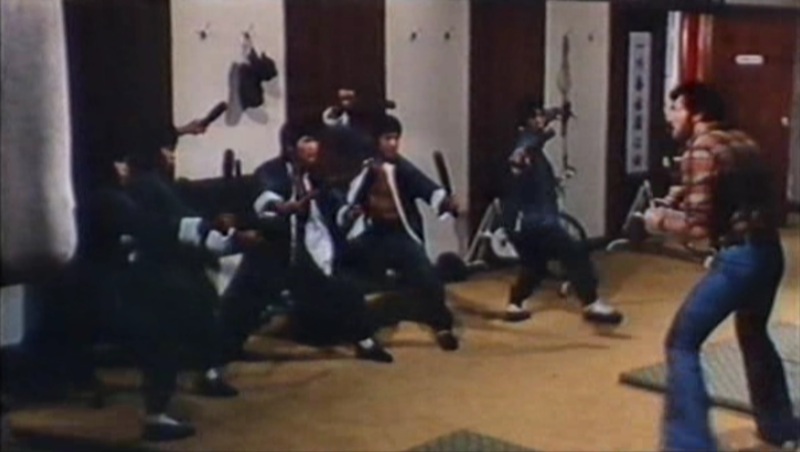 Usually in a co-production with the Shaw Brothers you can at least depend on some fights, but this film’s definition of fights is incredibly loose. There are a fair amount of them, but they all boil down to the Americans comedically beating up waves of Chinese with little to no effort or struggle. Some moments of this are enjoyable, but anyone interested in seeing traditional fights — comedic or otherwise — will be sorely disappointed with the offerings. The comedy is very broad and mostly slapstick, and it landed far less than I’d have liked. Perhaps if I was a fan of these ’70s Italian comedies, I’d have enjoyed it, but who knows. It’s my guess that it’s not a very good film, even within the genre. 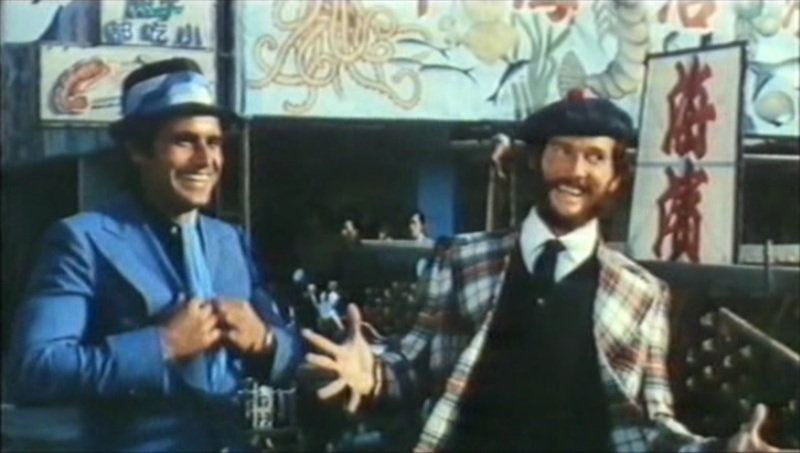 Anyway, what isn’t slapstick is mostly just a bunch of good ol’ fashioned ’70s racism. 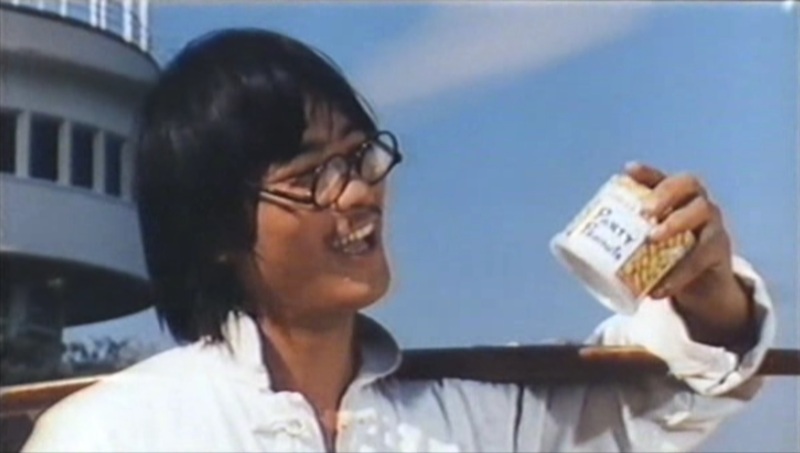 Danny Lee wears the traditional Chinese garb of big, round glasses and he continuously spouts old Chinese proverbs and squints his eyes. His character randomly pops up in scenes (it’s not worth explaining) and every time he does, he is accompanied by the most cliched “Oriental” music you can imagine. Surprisingly there aren’t any Asian driver jokes, but there is one about all Chinese looking alike. Given that the film is a co-production with Shaw, I was pretty surprised that they helped produce something like this. I can’t imagine the movie playing well with Chinese audiences, so I have to guess that it was produced to primarily appeal to the Italian market. They’d have a far less informed viewpoint on Chinese culture, so the comedy was probably more on par with that mindset. I can definitely see some of this stuff working in an American film of the same time. In any case, they also call Joe’s character a “thieving Brooklyn wop” numerous times, so it’s not all jokes at China’s expense. This Time I’ll Make You Rich is by far the worst Shaw co-production I’ve seen yet, but hopefully it’s uphill from here. This is a fairly rare film, so if I’ve intrigued you to see it you’ll have to hunt it down. But just to be clear: it ain’t worth it. Also of note: some behind-the-scenes footage of This Time I’ll Make You Rich (and other films like The Legend of the 7 Golden Vampires) is featured in the British TV documentary on the Shaw Studio, Fists of Fire, and I recommend watching that instead! Next up in this chronological journey through the Shaw Brothers Martial Arts catalog I will kick the door down on 1975 with Ti Lung’s second and final effort as director: The Young Rebel! See ya then!